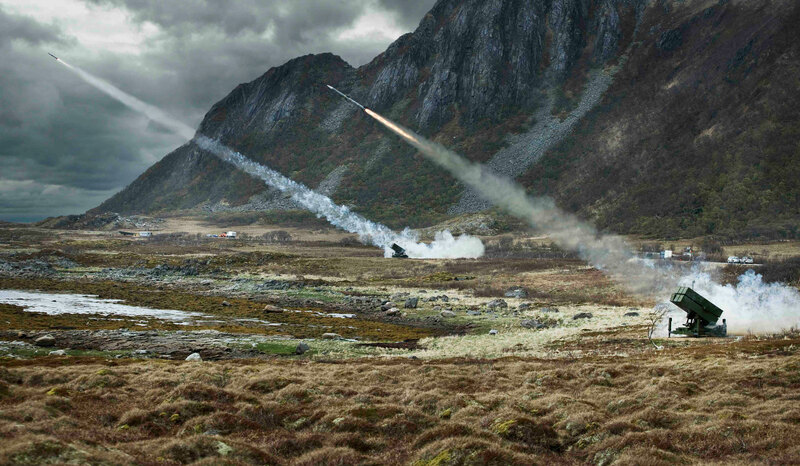 Although it is unclear how many launchers were requested, Kongsberg literature suggests that a standard network consists of four launchers each containing six missile-launching canisters. NASAMS also consists of an AN/MPQ-64F1 Sentinel active 3D radar, and a passive electro-optic and infra-red sensor. The sale to Indonesia comes just five days after Lithuania announced a similar deal worth $126.5 million. The AMRAAM missiles will be sold from the U.S. via a "government to government" Foreign Military Sales (FMS) deal. Of note, the missiles used in NASAMS are dual-use, meaning they can be surface-launched or air-launched. In 2016, the U.S. approved the sale of 36 AIM-120C-7 AMRAAMs to Indonesia for the country’s F-16 fighters. Speaking to Indonesian media earlier this year, Air Vice Marshal Yuyu Sutina, commander of the National Air Defence Command, said that Indonesia requires a missile system that could cover a 100 sq km area. The plan was to deploy such a system initially to defend the capital city Jakarta, before more systems are acquired and gradually deployed elsewhere. The procurement is part of Indonesia’s Minimum Essential Force Stage 2 (MEF II) to boost the Indonesia Armed Forces capabilities to defend the archipelago. Once the system is delivered, Indonesia will join Singapore and Vietnam in possessing a high-to-medium-altitude air defense (HIMAD) system in the region. NASAMS would be used to protect key installations along Indonesia's very long borders, rather than as a nation-wide air defense umbrella. Beyond the capital city, NASAMS could be fielded in military installations such as the Natuna Islands in the South China Sea, where Indonesia plans to deploy F-16 fighters and AH-64E attack helicopters in the future. The largest NASAMS deal, worth $1.28 billion, was signed by Oman in January 2014. The system was also down-selected by Australia in April this year for the Land 19 Phase 7B project, in a variant that aims to launch both the AIM-120 AMRAAM and AIM-9X Sidewinder Block II from a common rail.